SITEX, Singapore’s long-running Consumer Lifestyle IT Exhibition, is back for the 30th time this week. Organized by SGtech, managed by SingEx Exhibitions Pte Ltd, this annual event is happening from today to Sunday, at Singapore Expo Halls 5 and 6. Visitors can look forward to amazing deals on the latest gadgets and tech gizmos. They can also experience the latest technologies via the four experiential zones – Travel Tech & Active Fit, Portable Audio, Smart Home and Living, and Gaming. Vivo is launching the all-new V11 smartphone at SITEX 2018. The V11 handles the basics of battery, display and performance well, at the same time adding a few extras like its In-Display Fingerprint Scanning Technology and the AI Camera. At 156 grams, the Vivo V11 is lightweight and durable. The Nebula and Starry Night colorway on its shiny back panel gives this phone a unique and premium look. Despite having a big display at 6.41-inch (16.29cm), the Vivo V11 does not feel like a large phone. Featuring a Halo FullView™ Display at 2,340 x 1,080 resolution, the phone can produce stunning images for a vibrant, ultra-vivid experience. The Vivo V11 also features a 12MP (24 million photosensitive units) + 5MP dual rear camera combination, and 25MP AI front camera with AI technology. The Vivo V11 is available for pre-order at S$599 (without contract) in Nebula and Starry Night exclusively at the Vivo booth 5C02 (Hall 5). Customers who pre-order the Vivo V11 will receive complimentary delivery, a JBL GO portable Bluetooth speaker worth S$89.90 and V11 gift box worth S$49.90. 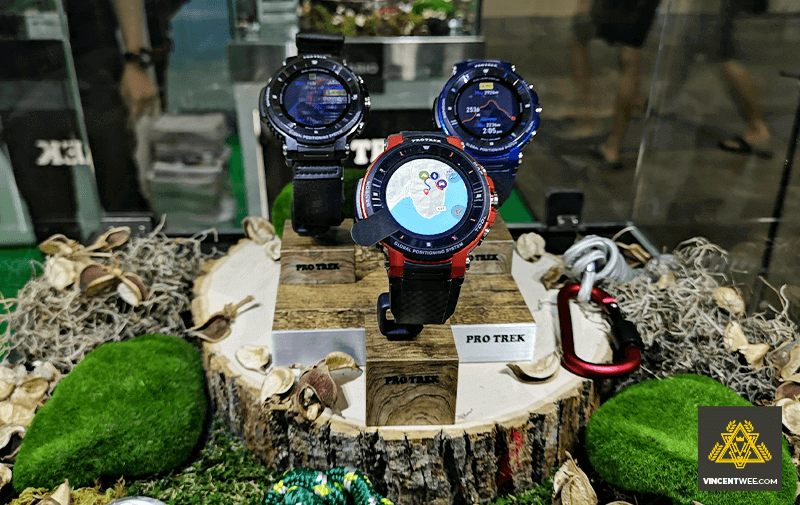 Casio’s Pro Trek WSD-F30 is the outdoors smartwatch even watch fans will adore. 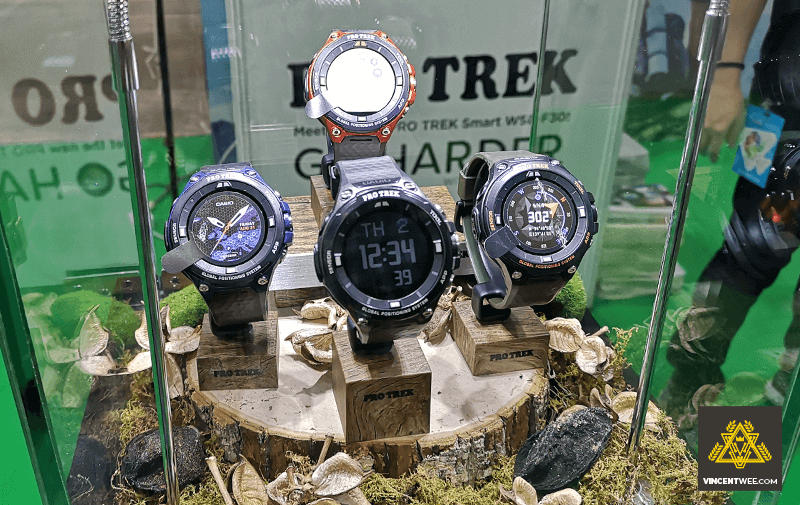 Casio has invested the last few years making smartwatches that are designed for adventure and active enthusiasts, and 2018’s iteration of the Pro Trek Smart WSD F range is a more refined version of that range. The WSD F30 is a rugged piece of gadget, while it may not appear to be designed for military-grade protection, it should well survive some tough knocks and tumbles. It is water-resistant up to 50-meters, making it ideal for active use. Featuring a 1.2-inch dual-layer display and a resolution of 390 x 390 with capacitive touchscreen, it delivers clear visuals when looking at it in bright lighting. You can select any of the 3 modes to suit your activity – the monochrome and color display separately to maintain optimum visibility in any environment, also to provide efficient power management for battery saving. The watch also comes with Google’s Wear OS software, which means you’ll be able to download apps off the Play Store while also using it with your iPhone or Android devices. You can also have a choice of using Google Maps or the mapping technology by Casio, to give you an accurate location during your regular outdoor adventures. Released in August 2018, Sony’s WH-1000XM3 headphones are the latest in Sony’s line of flagship headphones. The Sony WH-1000XM3 are clearly the decendents of 1000XM2 and the 1000X before them; the overall shape and look are almost the same. The Sony WH-1000XM3 is more comfortable than its predecessors as it is lighter, and has a thicker headband cushion that is wrapped with faux leather on the super soft ear cups. The headband is also more oval in shape to fit the head better, while allowing for more compact carrying. Sony’s new QN1 HD processor on the WH-1000XM3, improves both audio processing and noise cancellation. Noise canceling headphones have a challenge dealing with mid to high-frequency sounds, like human voices, but the WH-1000MX3 delivers pretty well. In addition, the Adaptive Sound Control feature allows you to set your preferred level of noise cancellation based on your needs – ranging from full noise cancellation, wind noise reduction, and allowing through various amounts of ambient noise. Pairing with Quick Attention, you can simply communicate without removing your headphones. 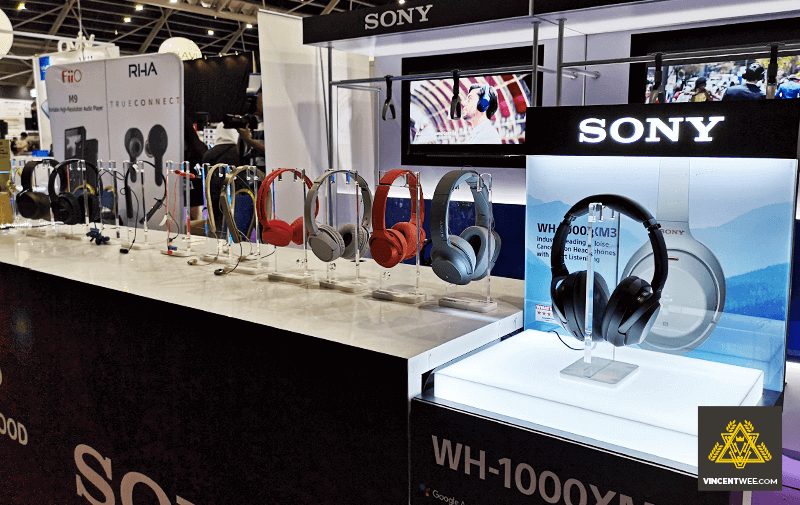 Sony’s WH-1000XM3 headphones are retailing at S$549 at booth 5D01B (Hall 5). Secretlab is well-known for its high quality, comfortable gaming chairs. The SoftWeave™ Series features a woven-fabric trend, known for its lightweight, breathable and durable properties. The fabric is custom-made and meticulously engineered based on the latest and high-quality 350gsm short-yarn available in the market. 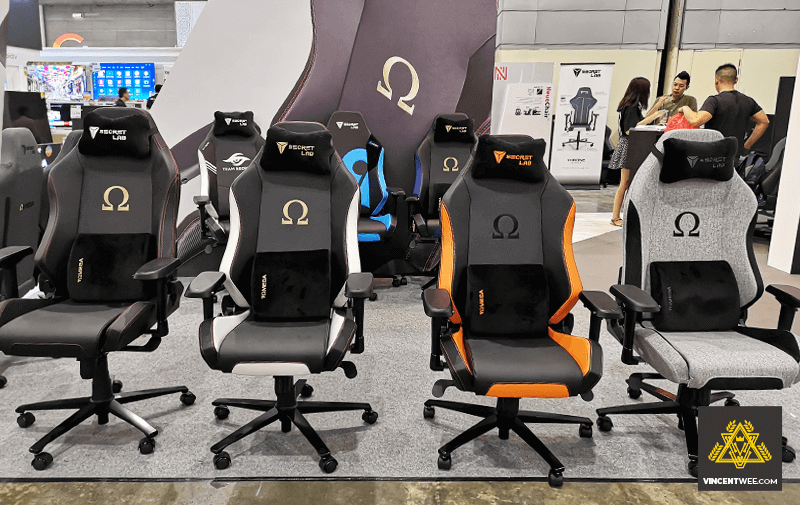 The SoftWeave™ series will be made available across the THRONE, OMEGA and TITAN, come equipped with the award-winning features of the respective models – such as the multi-tilt mechanism, four-directional armrests, velour memory-foam lumbar pillow and inbuilt lumbar support system respectively. When Artificial Intelligence, software and hardware come together, it can unlock all kinds of possibilities. Featuring a family of consumer hardware products like Google Chromecast, Google Pixel 3 and Google Home. Be sure to experience #madebygoogle in real life and try out their newest products just inside the entrance of Hall 5. That’s all for now. See you there! Previous articleHere’s What to Expect at SITEX 2018 Happening at Singapore EXPO This Week!